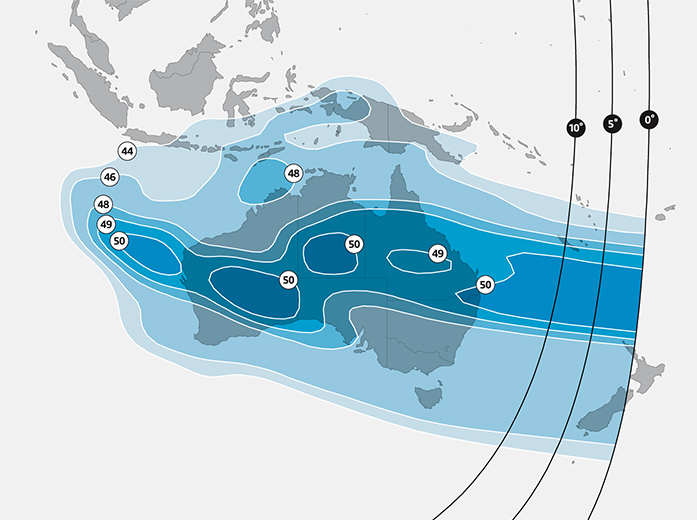 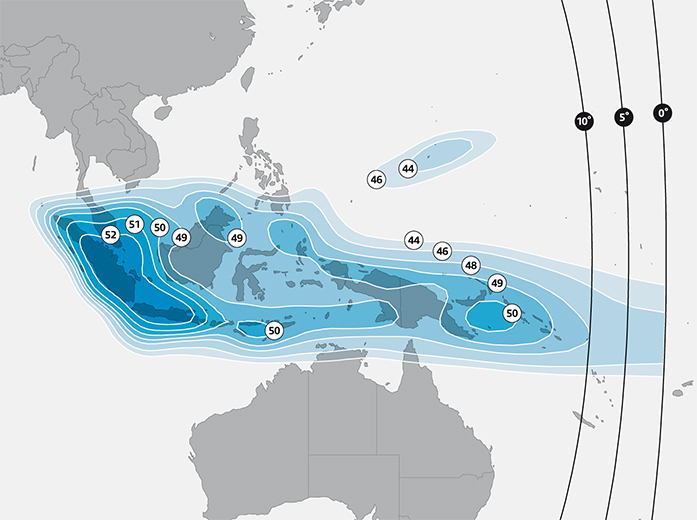 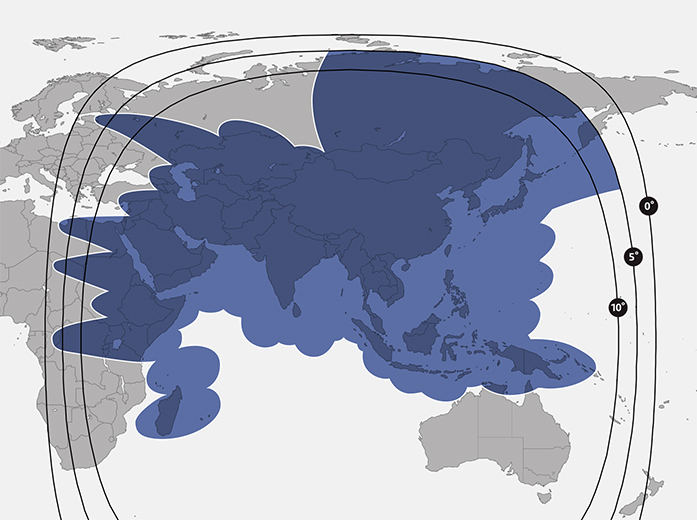 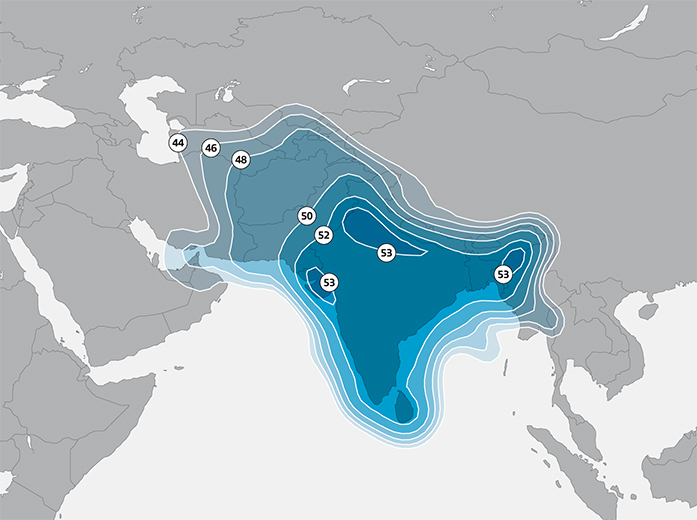 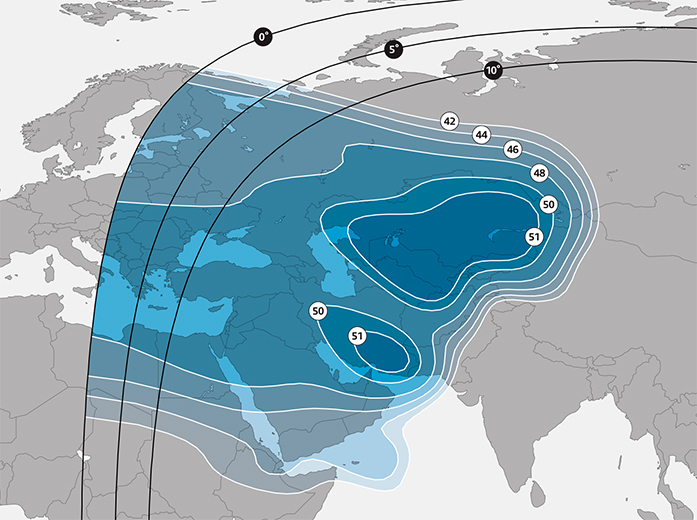 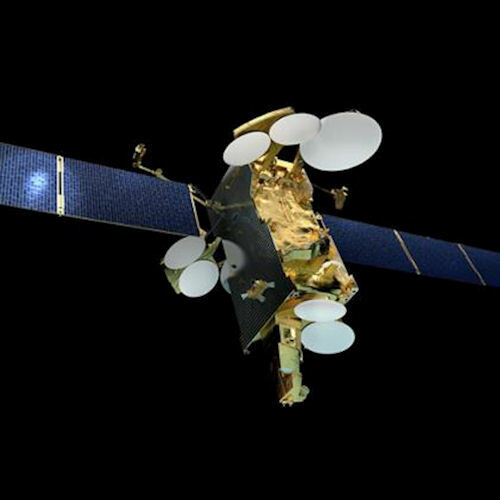 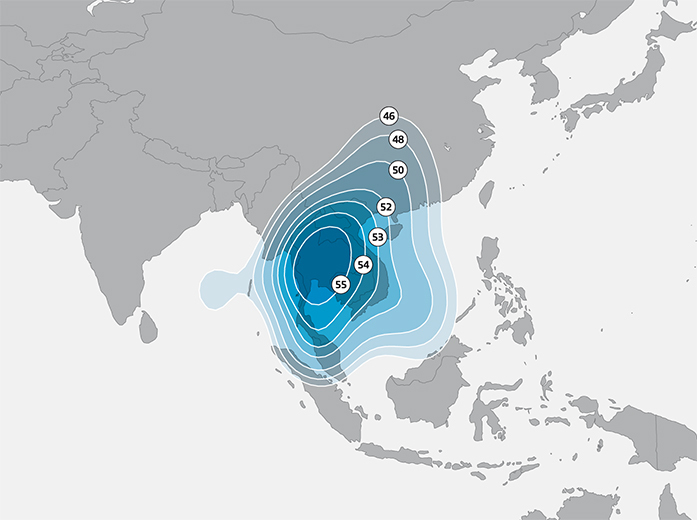 The SES-12 satellite will expand SES’s capabilities to provide direct-to-home (DTH) broadcasting, VSAT, Mobility and High Throughput Satellite (HTS) data connectivity services in the Middle East and the Asia-Pacific region, including rapidly growing markets such as India and Indonesia. 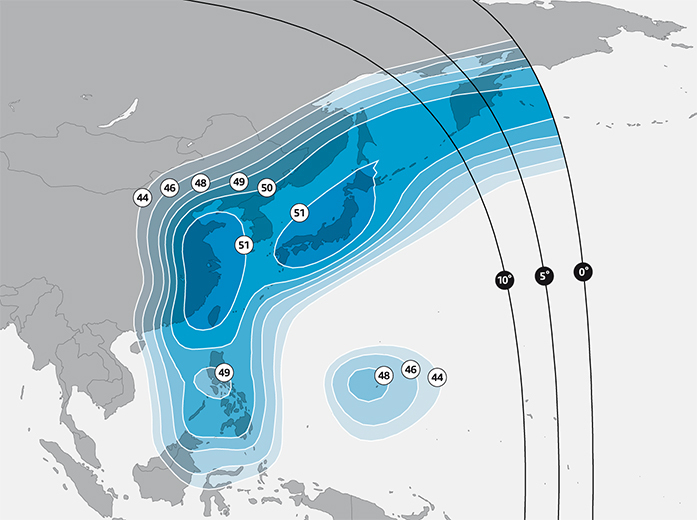 The satellite will replace NSS-6 at this location and will be co-located with SES-8. 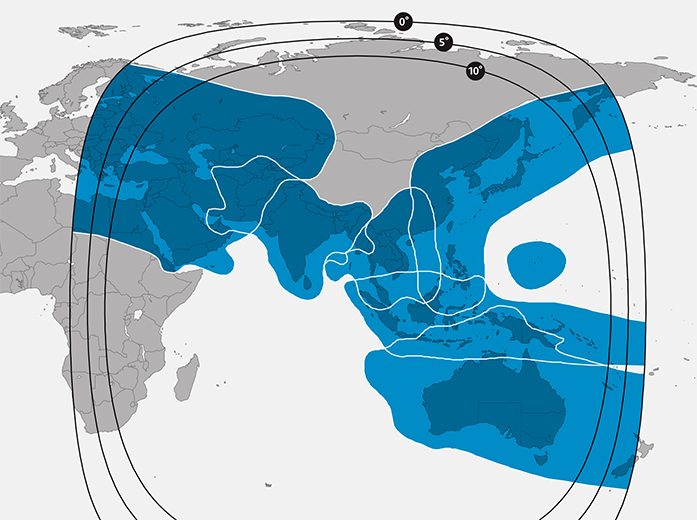 SES-12 is capable of supporting requirements in multiple verticals from Cyprus in the West to Japan in the East, and from Russia in the North to Australia in the South.